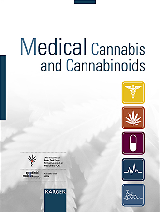 CANNABINOIDS is a peer-reviewed online journal of the International Association for Cannabinoid Medicines. It is published on the website of the IACM in several languages. All articles and letters to the editor have to be written in English. CANNABINOIDS intends to become an important source of information on medical and scientific aspects of cannabis and the cannabinoids in the web and to inform the readers up to date on issues under discussion. The publication of an earlier Journal of the IACM, the Journal of Cannabis Therapeutics, ceased in 2004. CANNABINOIDS consists of the following categories. Mini-reviews: they give a short and up-to-date overview of important recent medical or scientific findings, ideas or issues. Comments: they refer to an article recently published in another journal. They summarize the main findings and conclusions, give background information and highlight strengths and/or weaknesses of the text. Letters: they are chosen from the letters sent to the editor in response to journal articles. Readers are encouraged to write letters, but publication is not guaranteed. Articles of the Month: they are chosen by the Editorial Board and usually written by members of the Editorial Board but also by invited authors on important articles published recently in other journals. Papers that do not fall into one of these categories (such as book reviews and original articles) are not excluded a priori, but are not the major focus. CANNABINOIDS offers the following advantages to authors. Publication of articles are announced in six languages in the IACM-Bulletin (about 5,000 subscribers). Translation of an article into several languages, so that readers who do not read English well will also be reached. Easy access to the journal for readers, which means many potential readers. CANNABINOIDS has no regular rhythm of publication. This allows the publication of comments very timely, since there is no necessity to wait until the publication of the next issue. To allow citation of the articles, articles that have been published within three months will be combined to one issue. One issue has continued page numbers. Articles are written in a way that is understandable by practitioners without a specific scientific background. If possible the English version should be used to cite the journal, because this is the original version that has been submitted and where necessary revised by the authors, and reviewers of the article have made their comments and suggestions on this version. 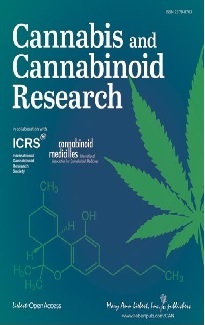 CANNABINOIDS is edited by Franjo Grotenhermen and Mark Ware (Canadian Consortium for the Investigation of Cannabinoids, CCIC).